How long do you think the longest building in the world is? Well, can you see that nice stretch of nothingness behind the pine trees? Today that nice stretch of nothingness is the Royal Victoria Country Park. In years gone by, however, it used to be the Royal Victoria Hospital, a military hospital developed in 1856. It served in several wars, including the Second Boer War, and both World Wars. When it was originally constructed the main hospital building was 468 metres long, making it one of the longest buildings in the world at the time. The longest building in the world is the Great Wall of China which stands at 885,180 metres. 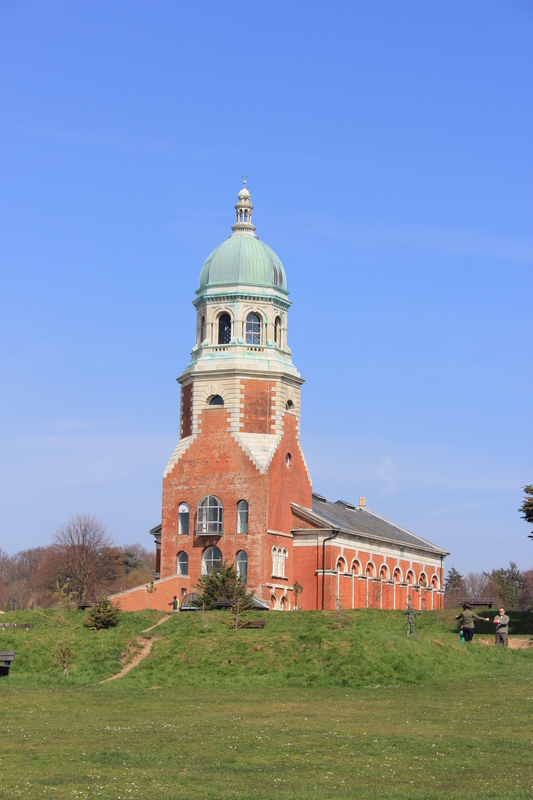 I concede that the main hospital building at Netley could be considered somewhat smaller by comparison. But do a Google search on the world’s longest buildings. You’ll find that even by today’s standards 468 metres would class a building as one of the longest in the world. But not this building, because they knocked it down in 1966, after 100 years of service. (When the diggers moved in they found a metal casket below the foundation stone laid by Queen Victoria herself. It contained building plans, a copy of The Times newspaper, some coins and one of the first Victoria Cross medals). Today, all that remains of the site is the hospital chapel, today used as a Vistors’ Centre. Oh, and an ice cream van, the produce of which we gladly partook. Just beyond the Country Park is Netley Castle, one of Henry VIII’s Device Forts. It might not be quite as grand as, say, Deal Castle but it is a very attractive building. 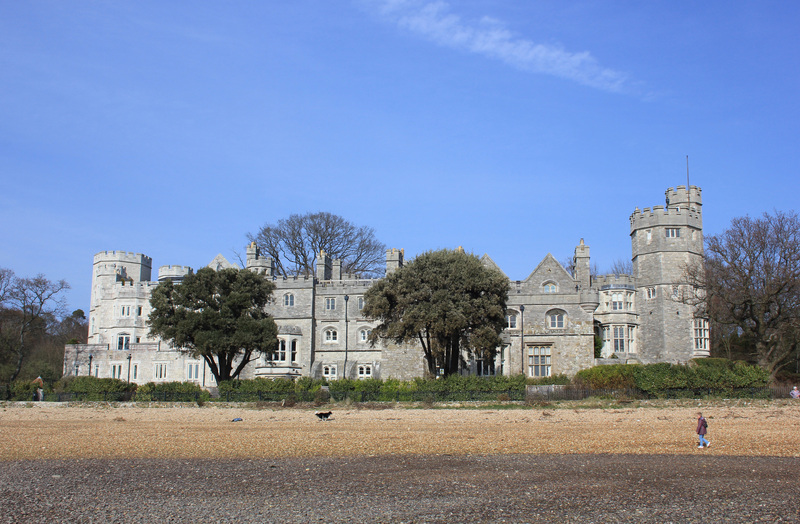 A four-bedroom penthouse flat at Netley Castle will cost you a mere £1.2 million. After spending that amount of money your legs will probably go a bit wobbly, but don’t worry – the flat comes with lift access. 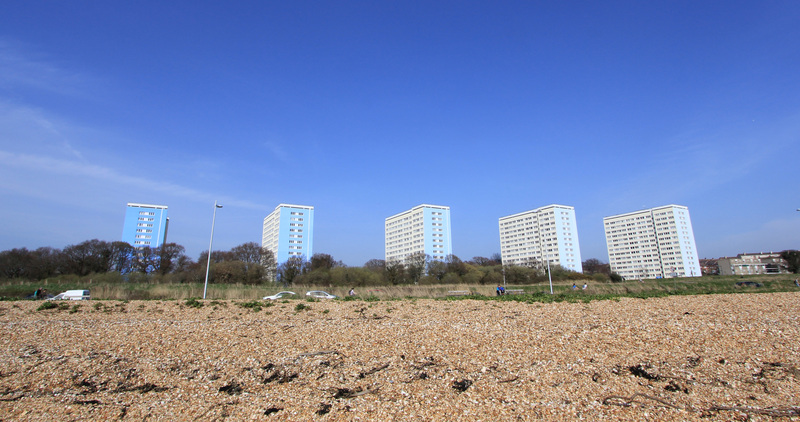 If you are still weak at the knees a one-bedroom flat at the nearby Rotterdam Towers last sold for £41,000. Rotterdam Towers and its neighbouring blocks are not quite as ornate as Netley Castle, but I do like the way each successive tower block is painted with a lighter shade of blue. That’s Rotterdam Towers, on the far right, in the lightest blue. I wonder if the shade of blue affects the price of flats? 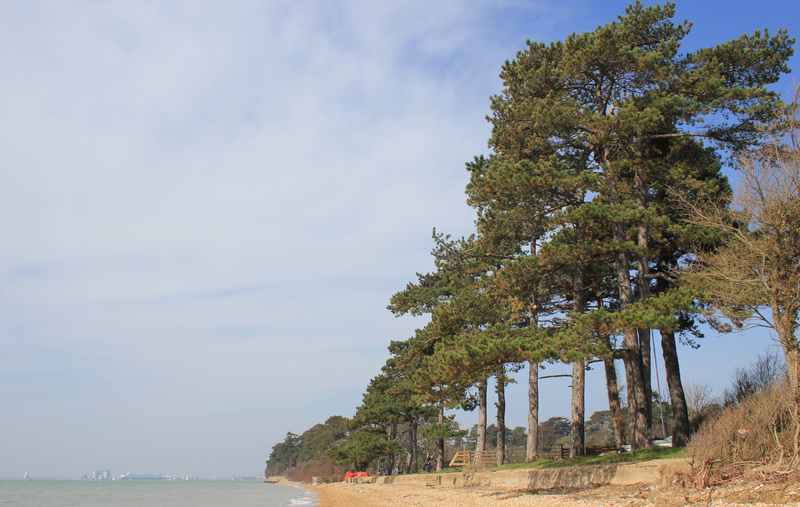 This entry was posted in Hampshire and tagged coast, Hampshire, Netley, Netley Castle, travel, walking, Weston. Bookmark the permalink. Is the Wall of China considered a building? Though it seems a little unfair on all other buildings with ambitions of stealing the crown – they don’t stand a chance! noun: building; plural noun: buildings; noun: bldg. a structure with a roof and walls, such as a house, school, store, or factory. the process or business of constructing something.